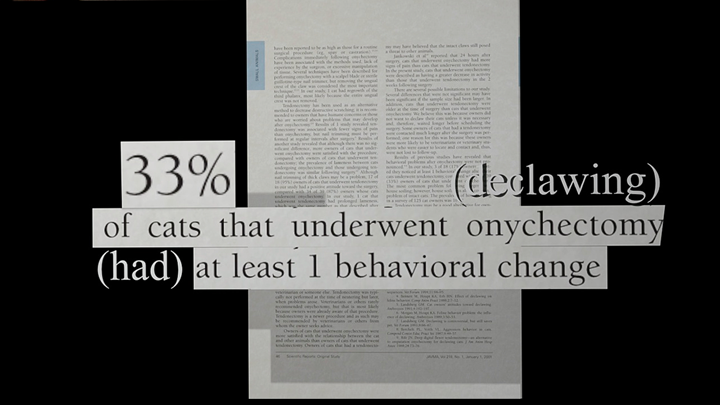 First, feline declawing, or onychectomy, is not merely nail-trimming. 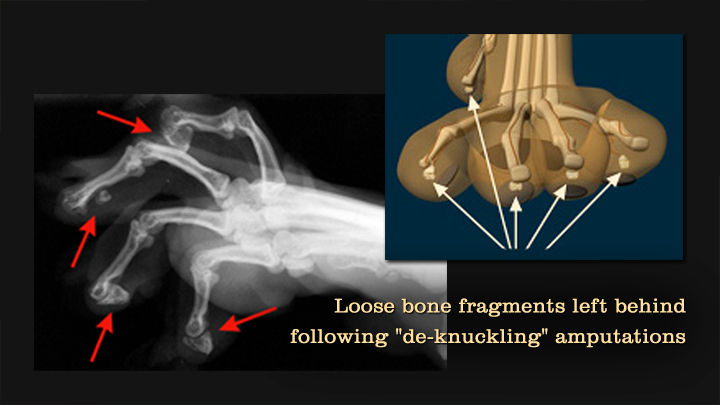 In declaw surgery, each toe and its tendons are severed at the first joint. Usually, nail clippers are used. 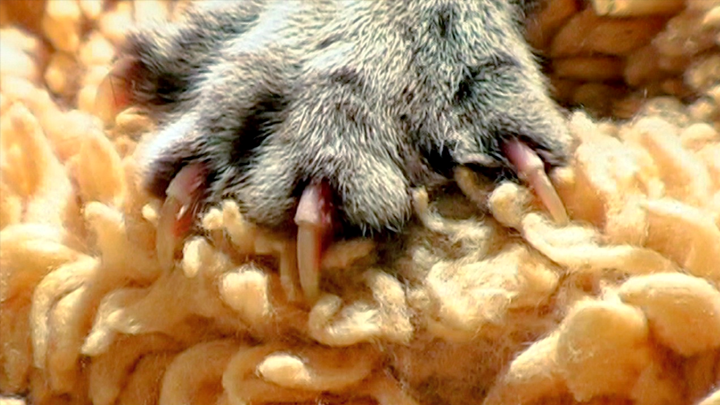 In a human, the same amputatation would remove the fingertips above the nailbeds. Imagine losing your sense of touch and not being able to grasp or manipulate objects. 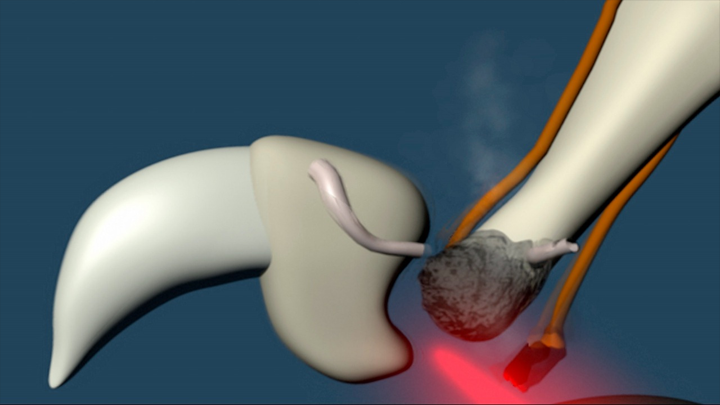 Laser surgery is another method used in feline declawing. It is worse than other methods, because it causes 4th degree burns (burnt bones). so walking on tender paw pads feels like walking in a shoe with a pebble in it. 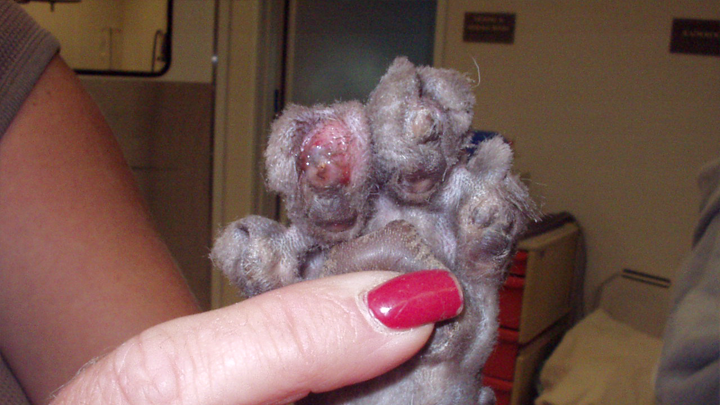 due to inflammation caused by abcesses in the toes or bone fragments lodged against the tender paw pads. 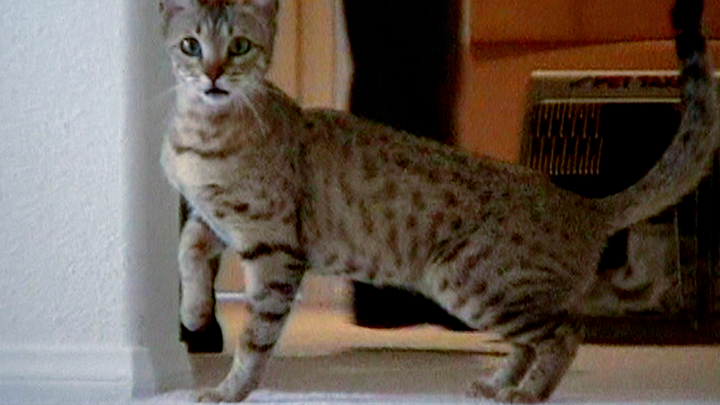 Deprived of their natural defenses and often in pain, cats may scratch and bite. 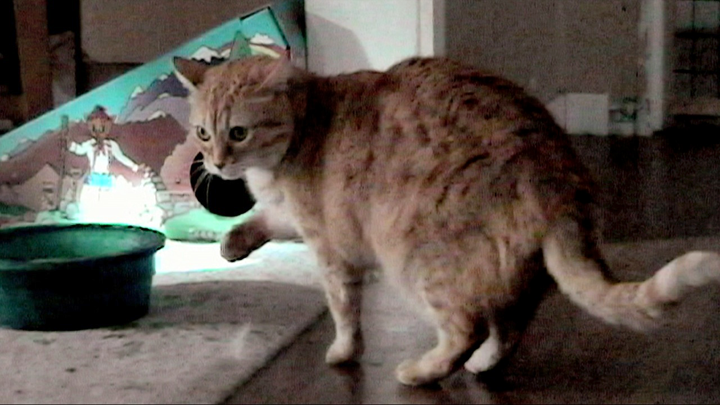 Litter box avoidance and other undesirable behaviors may develop post-surgery. The adverse effects of declaw surgery can be extreme, such as nail regrowth through the paw pad and skin. 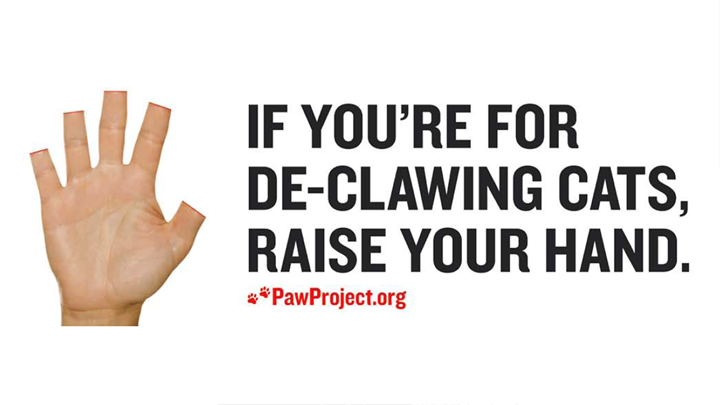 There are humane alternatives to declawing. 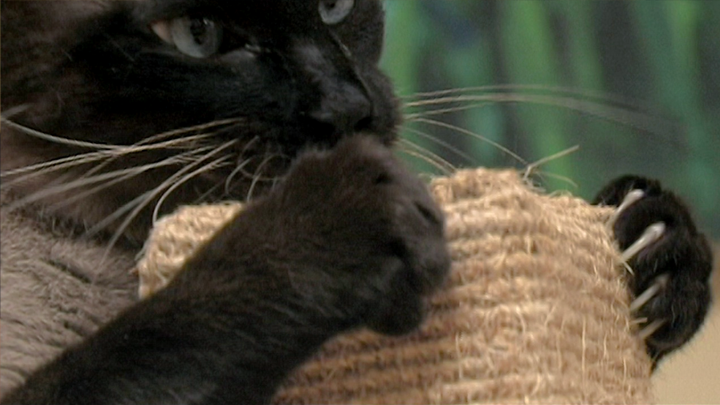 Providing a scratch post gives cats an outlet for their natural need to stretch and exercise their claws. Fashionable plastic nail caps or "Soft Paws" are another alternative to declawing. So, now that you know what declawing is, would you still do it anyway?